Encompass your photos in oceanic elegance. 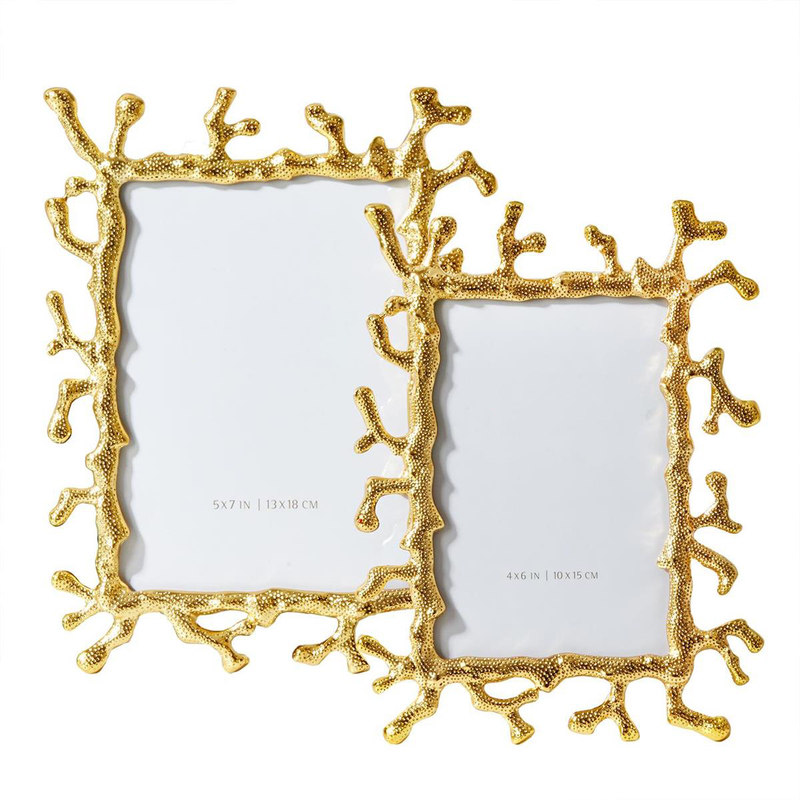 Crafted of textured metal finished in gold, these hypnotizing frames are inspired by coral under the sea and are perfect to showcase your favorite 4" x 6" and 5" x 7" photos. 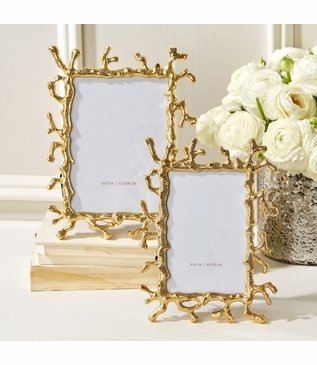 Pair these frames together for a grouping effect or separately to dazzle in two spaces simultaneously. 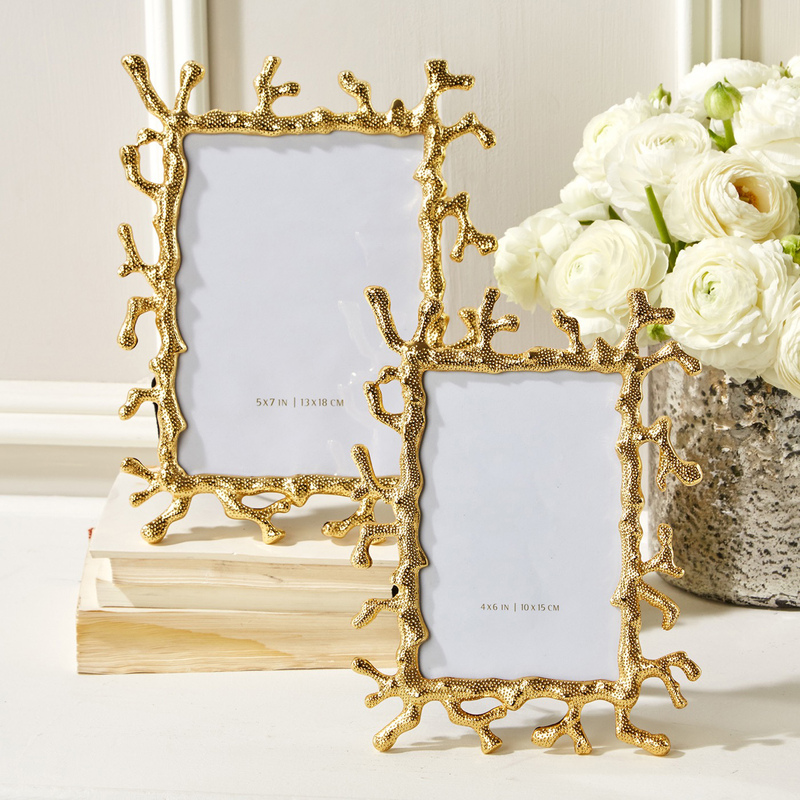 You'll love the look they lend to your tabletops, shelves, or desk space. Sold as a set of two.